Learn to speak English doesn’t have to be scary and lonely anymore. 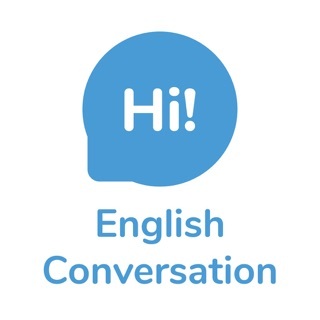 With ELSA - your English Language Speech Assistant - you can practice your English speaking skill at any day, anytime and anywhere. Powered by our proprietary and state-of-the-art voice recognition technology, ELSA is the first and the world’s smartest Artificial Intelligence pronunciation coach who will help you have perfect English pronunciation. ELSA can help you improve your pronunciation score by 40% within less than 4 weeks. Hundreds of thousands of users around the world have been practicing with ELSA. - Start your English learning journey by talking ELSA’s Assessment Test, designed by world-class experts in English pronunciation education to identify your English pronunciation proficiency and get a detailed diagnosis on your top pronunciation challenges. - Have your curriculum tailored to your level of English proficiency, enabling you to improve faster. - 400+ lessons and 2000+ common English words ranging across dozens of topics. - Have your exact pronunciation errors pinpointed and receive instant feedback on how to move your tongue or lips differently to correct those errors. - It’s fun. By mastering each pronunciation skill (scoring 80% or above of that skill), you’ve conquered a planet in a whole galaxy system, and will have the motivation to come back for more. - Practice your English speaking skill in a fun and relaxed learning environment without fear of embarrassment in front of other people. - Track your progress and come back to practice any words you’re still stuck on from your prior sessions. - It’s effective. 27 hours with ELSA is equivalent to a semester of a university course in America to build excellent pronunciation and reduce accent. Be confident in your English skills! Improve your speaking skills to prepare for important tests like TOEFL, IELTS, TOEIC as well as everyday communications with your foreign friends, boss, colleagues, tourists. Practice with ELSA every morning, every night, or before your next important job interviews. The price listed above is for US customers. Pricing may vary in other countries. The amount charged may be converted to the currency of your country of residence. Payment is charged to your iTunes account. Your subscription automatically renews unless canceled at least 24 hours before the current period ends. You will not be able to cancel the subscription once activated. After purchase, manage subscriptions in Account Settings. Unused portions of your free trial get forfeited when you purchase a subscription. English has the power to change lives. We at ELSA want to let your voice be heard and cherished by friends all over the world.